SAMe is a complex product with many benefits which can be vital for the proper function of the body. It can be easily classified as a supplement for the overall health because of the wide specter of positives its supplementation brings. 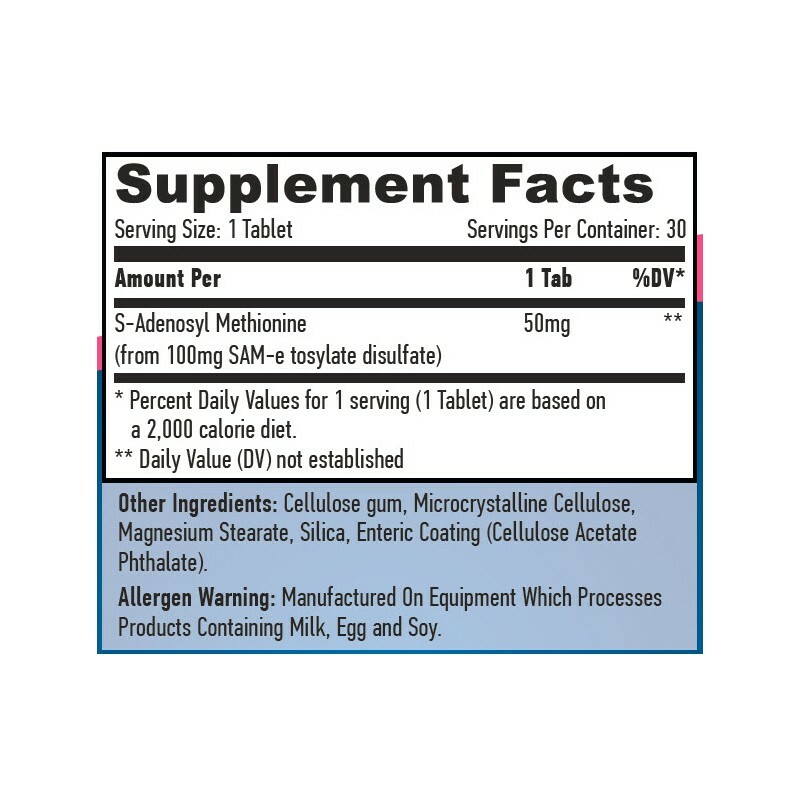 SAMe or s-adenosylmethionine is a nutrient that can be produced by the body naturally or chemically manufactured as a supplement. SAMe levels in the body tends to decline with age and that’s why adding it to your diet brings up a variety of positive effects. Discovered in 1953, SAMe is a precursor to the substances spermidine and spermine and is manufactured in the body from the amino acid methionine. Unfortunately this ingredient has inherently unstable structure and that’s why SAMe is not found in significant quantities from dietary sources. Therefore, SAMe must be obtained through supplementation especially in elder users. The general population may benefit from supplementing with SAMe as SAMe plays a key role in maintaining psychological health, and is a longevity nutrient and much more. For example athletes may benefit from supplementing with it because it supports neurotransmitter balance, liver, cardiovascular function and joint health. SAMe may also neutralize estrogenic compounds and It's best to use any SAMe product according to the directions on the label. That’s one way to fight the xenoestrogenic effects from the modern world we live in. We are well aware that the petroleum products coming from the plastic bottles, containers holding liquids and BPA plastics do cause damage by adding artificial estrogenic substances in our body which disrupt the hormonal balance. Again it’s a complex ingredient which can be a powerful tool for every person who wants to improve its overall health and performance. Please do speak with your healthcare physician about supplementing with SAMe if taking any drugs related with an illness. Recommended daily intake: Take 1 tablet each day on an empty stomach. Notes: Do not exceed the recommended daily dose! Do not use as a substitute for a healthy food.